The real estate sector is a dynamic market area where opportunities continue to exist but whilst the sector is bursting with opportunity, it is not without potential risk. In such a complex legal landscape, the best way to secure your property, business premises or investment is to take expert legal advice from people who know the property market inside out. At Aaron and Partners, our specialist real estate lawyers keep you ahead of the game. With teams dedicated to commercial residential and agricultural property law, we offer practical, comprehensive solutions tailored to your real estate requirements. Firstly, we work with you to understand your objectives. Then, we deliver a skilled and dedicated service, based on years of experience in the real estate sector. Our advice is clear and practical, ensuring your transaction is completed with the minimum of fuss. Every property transaction generates a variety of legal concerns, some more problematic than others. With Aaron and Partners, however, our highly experienced real estate lawyers have a complete understanding of all aspects of current legislation. So, whatever your transaction, you can rest assured that it will proceed smoothly, swiftly and successfully. Whether you’re looking for legal expertise in property finance, corporate support or leases and agreements; whether your interest lies in agriculture, the charities sector or the utility industries; we will ensure your objectives are met with efficiency and effectiveness. They are proactive and responsive and good value for money. 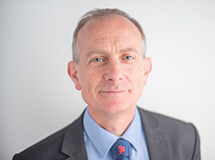 Simon Ellis is ‘a property lawyer par excellence and always deals with transactions swiftly and efficiently’.